Alibaba Group is the e-commerce player from China that you may have never heard of. But it's set to make one of the biggest initial public offerings in the U.S., possibly raising over US$20 billion, analysts say. Why the company has been getting so much buzz was highlighted on Tuesday, when Alibaba filed its IPO documents. The contents reveal an e-commerce player selling more merchandise than eBay and Amazon.com combined, and primed to see surging financial growth from a still-developing Chinese market. Here are some details from Alibaba's IPO that show the company's prospects and upcoming challenges. The company's presence on the world stage can't compare with the global user base of Google and Facebook. But the sheer scale of the Chinese market has been enough to turn Alibaba into an Internet giant on par with U.S. tech companies. By value of merchandise traded, Alibaba claims to rank as the world's largest e-commerce company, trading goods worth $248 billion last year, the IPO filing said. Driving the purchases were Alibaba's 231 million active buyers. The 20,000-person company not only runs Taobao Marketplace and Tmall, two of China's largest online retail sites, but also platforms for wholesale trading. In addition, the company's affiliate Alipay is China's largest third-party online payment service. The Chinese e-commerce giant often gets compared to Amazon. But a major difference between the companies is that Alibaba doesn't sell its own inventory of goods. Instead, it manages the online marketplace for merchants to connect with consumers. To earn revenue, the company charges fees to help merchants market the retail sites, and takes a commission for products that are sold. The business model means that while Alibaba generates less in sales, the company makes more in profit. For the last nine months of 2013, Alibaba's net profit was at $2.9 billion. In contrast, Amazon's net profit for all of last year was at $274 million, while eBay's was at $2.8 billion. One of the reasons investors are excited is that Alibaba has plenty of room to grow in China. The country has 618 million Internet users, and half a billion of them are going online with their phones, according to the China Internet Network Information Center. But total Internet penetration in the nation still remains at only 46 percent. 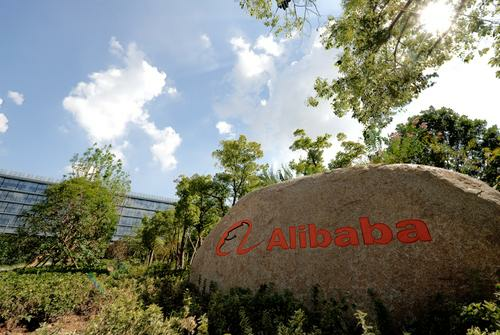 Alibaba's IPO filing showed that the company is growing at a breakneck pace. Net profit for the last nine months of 2013 was up by over 400 percent year over year. Furthermore, the company's active buyers ballooned by 71 million over the course of last year. One challenge facing the company is popularizing e-commerce on the smaller screens of smartphones. As of December, Alibaba had 136 million active mobile users. But of the $248 billion in goods traded on Alibaba's retail sites last year, only about 15 percent was bought by users on mobile devices. In its IPO filing, Alibaba warned that in the mobile space, the company is focusing more on increasing user activity rather than maximizing revenue opportunities. On its mobile apps, the company is so far displaying fewer advertisements than those that can be found on its websites designed for PCs. Alibaba chairman and founder Jack Ma has been the face of the company, and owns a 8.9 percent stake. But it's Japanese tech giant SoftBank that has a far larger interest in the company, at 34.4 percent. In 2000, SoftBank initially invested in Alibaba with only US$20 million. Yahoo also holds a sizeable stake, at 22.6 percent, the result of a deal it made with Alibaba back in 2005 for $1 billion. The U.S. company, however, has agreed to sell about 40 percent of its shares to the public or Alibaba in the upcoming offering. Alibaba made no mention of an international expansion in its IPO filing, signaling that the e-commerce giant is still focused on China. Although the company has wholesale trading platforms geared for international buyers, it makes over 80 percent of its revenue from its home market. Lately, the company has been on a spending spree in China to help it expand and compete against rivals. The company has bought stakes in local Twitter-like site Sina Weibo and in Youku Tudou, one of China's largest online video sites. It has also acquired AutoNavi, a leading mapping provider in the country, and started a mobile search engine with a local browser developer. Although Alibaba isn't as well-known outside of China, the company gained some notoriety after U.S. allegations that it was selling fake goods on its e-commerce sites. From 2008 to 2011, the company's Taobao sites earned a place on the "notorious markets" list published annually by the Office of the U.S. Trade Representative. In 2012, the office took Taobao off the list, citing the company's successful efforts to take down the infringing goods. But in Tuesday's IPO filing, Alibaba said any future allegations over the selling of fake goods could result in lawsuits, and bad publicity for the company.